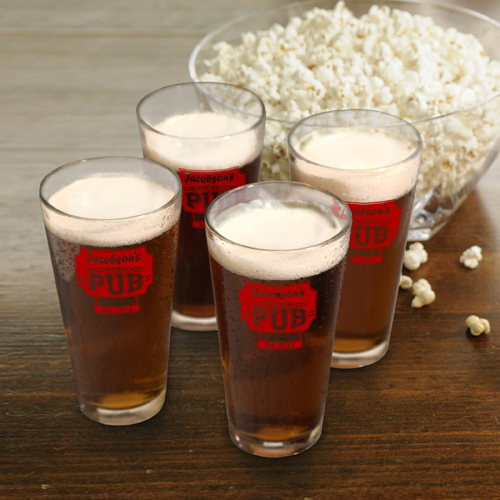 * Serve up your favorite brew or soft drink in your very own set of Personalized Pub Pint Glasses. 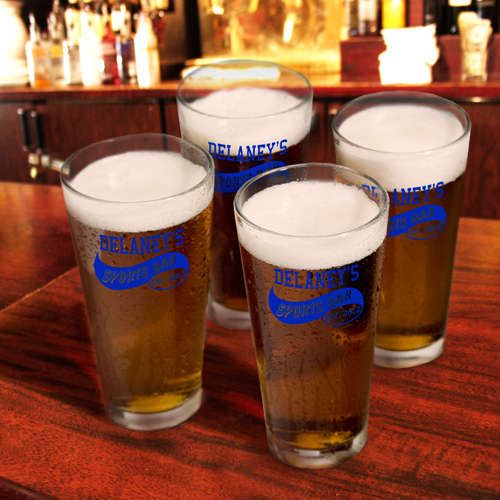 * Just right for any cold beverage, our Pub glasses feature a printed Pub logo in a choice of styles and ink colors. * Declare yourself the proprietor of the Neighborhood Pub or local Sports Bar. * In your home bar or as a personalized gift, these glasses are sure to be a hit. * Each glass holds 16 ounces. * Personalize with name up to 15 characters and established year. * Select design and ink color.